Gray, D.R. 1989. Cement boats of Tod Inlet. The Resolution (Maritime Museum of British Columbia)17 (Sept.): 11‑13. Gray, D.R. 1996. 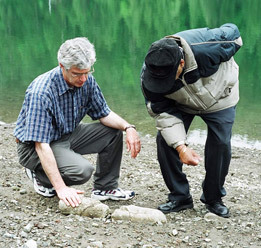 Pigs' Teeth, Pottery, and Portland Cement (the story of the Chinese workers of Tod Inlet, B.C.). This Country Canada. No. 9 (Autumn 1995-Winter 1996) 56-67. Gray, D.R. 2001. A History of the Chinese and Sikh Workers of Tod Inlet, B.C., 1904 to 1921. Poster Presentation, National Council on Public History, 23rd Annual Conference; "Belonging: Public Historians and Place," Ottawa, 18-21 April 2001. Sodhi, K and J. Stephens. 2006. Celebration Ble d'Inde. Galitcha. Music CD. Wirk, M.S. 2005. A History of the Sikhs of Victoria B.C. First Choice Books, Victoria. 274 p.